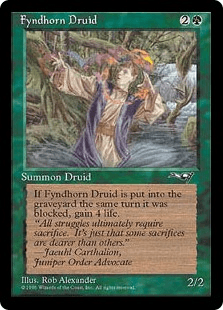 When Fyndhorn Druid dies, if it was blocked this turn, you gain 4 life. "All struggles ultimately require sacrifice. It's just that some sacrifices are dearer than others."